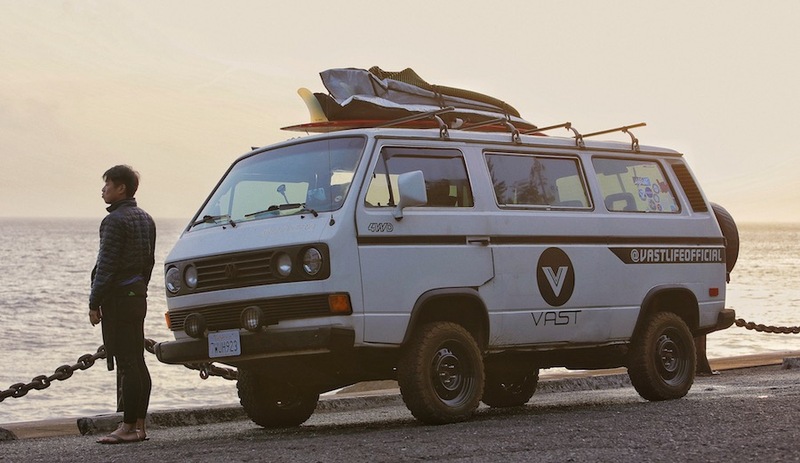 Editor’s note: Our friends at VAST have been wanting to explore the California coast by van and Porsche for some time now. When planning their adventure, though, they decided they’d go big and go all the way to Vancouver. After some careful planning and a rough start, they recently made their 17-day sojourn happen, and the photographic evidence is stunning. 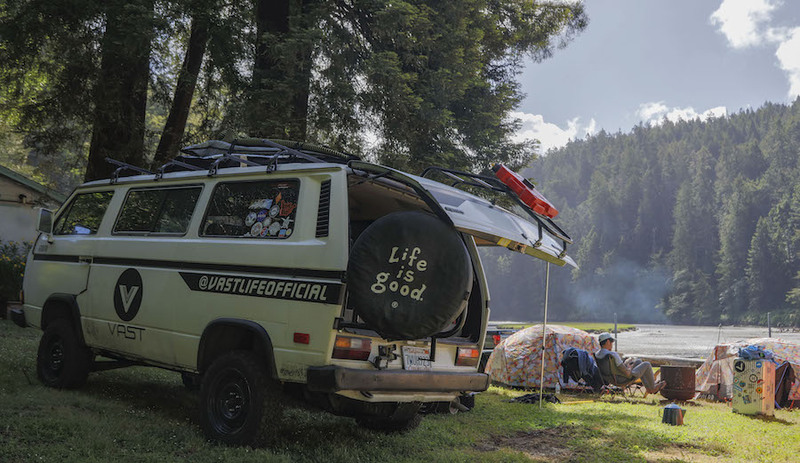 Here’s a peek into their quintessential jaunt up the Pacific Coast in all its glory. This is part two of a four-part series. Check out part 1 here. San Francisco is a beautiful town situated right on the water, so its surf culture is long and storied. 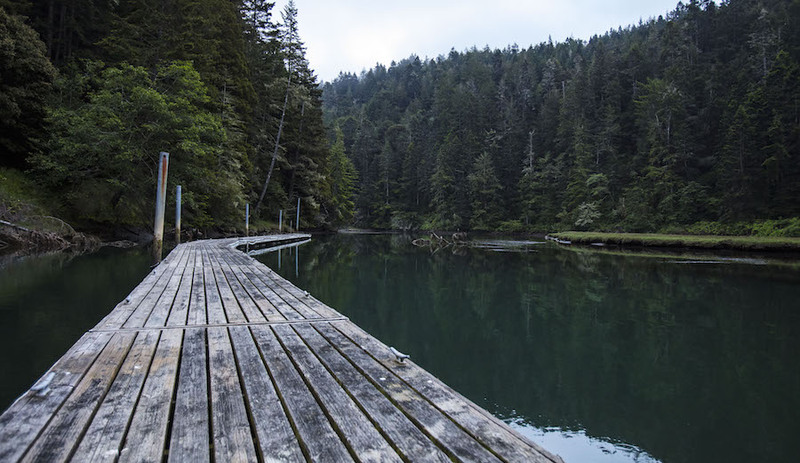 It’s also one of the chillest spots in the United States. With that in mind, we swept into Fog City in the late afternoon, and after a quick siesta to recharge after the drive, we headed out to the Castro District. The sight of a Vanagon Syncro and a surf-style RWB Porsche tooling around the streets of SF was outrageous, and we generated a lot of attention. We ate dinner, and then spent a relaxing night doing laundry and organizing our gear for the next day. We rose early for dawn patrol, with the idea to hit Ocean Beach. But, the notoriously fickle shoreline’s conditions looked beyond messy, so we opted to drive around and take some photos. First stop: underneath the Golden Gate Bridge at Fort Point, the very tip of the peninsula. Upon arrival, we were very pleasantly surprised to find that the point was breaking with perfect glassy waves about shoulder high. We snapped a few pictures, and the photos were so beautiful that they looked Photoshopped. More importantly, there were only three people out in the water, so we busted out the boards and got in there. It’s like we each got wave after endless wave under the imposing shadow of the magnificent Golden Gate. Glowing from the perfect conditions, we drove down to San Mateo for an afternoon meet-up with Mark Arcenal. He’s an amazing guy who founded both the online magazine and retailer Fatlace and the streetwear brand illest (among other endeavors). Not only that, Mark is a massive automotive and surfing fan, so we obviously spent most of our meeting vibing out on the Between Waves RWB Porsche and surf and nature and, well, everything. Our time in San Francisco was coming to a close, so we started to think about our next move. We expect colder and wetter weather after Sacramento, so we need to put the hardtop on the Porsche. Mark was kind enough to let us use the Fatlace Paddock shop space to swap out Between Waves’ Speedster convertible soft top for a hard top. At breakfast, we couldn’t stop talking about our insane Fort Point luck, so we decided to try for one more dawn patrol sesh before leaving San Francisco. The swell died down a little bit, but it was still looking good. The wind must have whispered the secret of the perfect waves, because the word was out, and there were a few more local folks in the water. We surfed for about an hour, before getting on our way up the coast a few hours to Point Reyes. Actually, it took us a bit longer to get up there, because this stretch of the coast is an unbelievably scenic journey through the mountains and along the pristine blue water. We pulled over in the Porsche and Syncro to snap photos and just take in the scene. The two-hour drive quickly turned into four, but no one’s complaining. We made it to Point Reyes by mid-afternoon and set up camp. Believe it our not, it was our first time setting up camp in daylight since starting the trip. It’s hard to overstate how much easier it is to pop a tent and prep a meal with ample lighting, so it took us no time at all, and all of a sudden, we had some time to kill. We decided to check out a tree tunnel we had heard about, and let me tell you: I’m so glad we did that instead of rushing to the beach. The tree tunnel is about a quarter-mile of cypress trees reaching into the sky on the sides of a loose gravel road. At the tippy-top, the trees’ branches join together to make an amazing natural tunnel. The golden sunset peeks through the tree lines, making nature’s version of a light diffuser. I can’t even explain how gorgeous it was. We just hung out there in this magical place until the night snuffed out the light in the sky, and then we reluctantly made our way back to camp. We had a barbecue and ate until we were too full, and then we vibed out by the fire until we were too tired to keep our eyes open. The next morning, we rose up early in search of the famous Point Reyes surf, but it seemed we completely missed the swell. There were some spots we wanted to check out, but the hike in was too far and we needed to make it to Sacramento to meet our friends at All Good. Point Reyes deserves its own trip, and we’ll be back soon. After breaking down camp, we drove through the hills and headed inland toward Sacramento. Along the way, we pulled over a couple times for some photos of the idyllic farm and ranch landscape. We arrived in Sac-Town and pulled up to the All Good store, where we were greeted by Jason Maggio, founder of All Good, as well as Official Brand (and others). Jason had a couple prime parking spots for our Porsche and Syncro right in front and even had a barbecue waiting. He gave us a quick tour around the shop and office/warehouse in the back, and our crew met his team. The shop and collection are amazing: functional and technical, yet fun and well-styled. We cooked up in front of the shop, and while we ate, we chatted about the trip, our brands, and, of course, the surfing lifestyle. The vibe was definitely “all good” (sorry!). Jason offered to take us around and show us Sac, but it’d been a few long days with not much sleep, and we needed to reorganize our stuff, do some laundry, and the documentarians needed to archive and go through the hundreds of photos and hours of footage. We found a comfortable Airbnb to shack up in so everyone could recharge. At night, we met up again with Jason, and went to Tank House BBQ & Bar for some more barbecue. It was almost like we couldn’t get enough barbecue. The food there is incredible, and we filled our bellies, before walking around the Midtown area and checking out some local hangouts. Sac is a lot cooler than our expectations, which was a really nice surprise.